Fun and magical no matter what your age, bubbles make a fantastic party accessory! 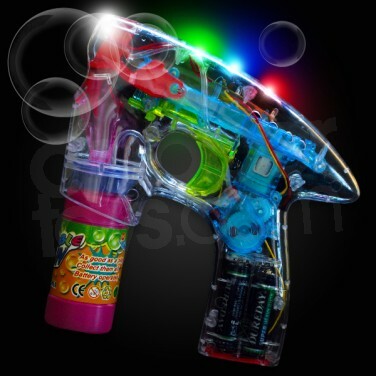 The Flashing Party Bubble Gun releases a fabulous stream of bubbles every time you pull the trigger! The clear body allows you to see the bubbles being formed and is lit by colourful LED's for ultimate party fun! Light up your night with this incredible party accessory! 3 x AA batteries included and ready to go! 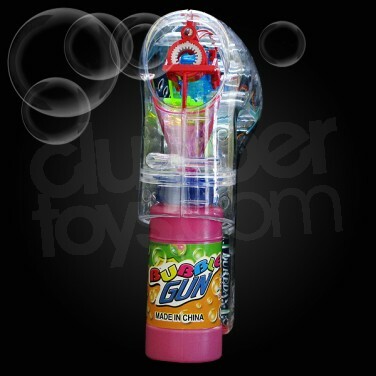 Flashing Bubble Gun Fun, funky and perfect for parties the Flashing Party Bubble Gun releases loads of fabulous bubbles which are highlighted by the colourful LED's in the gun. Fantastic, and perfect for nights out!